Perseus^3 a Ron Holland designed Perini Navi 60m sloop, was first in Class at the Loro Piana Caribbean Superyacht Regatta 2017. Perseus^3 completed its first class victory with a come-from-behind win. She suffered a problem with its roller furling system that prevented the crew from using the large headsail for half of the race’s upwind work. The crew was able to get the issue sorted out in time to score a 45-second win over Action, the new 123-footer from Dykstra Naval Architects and built by Royal Huisman. Perseus^3 won all of its three races during the three day regatta to win the class D title. The 60m sloop is helmed by club member Nicholas O’Leary and also has club members Clive Higgins and James Fagan on board. 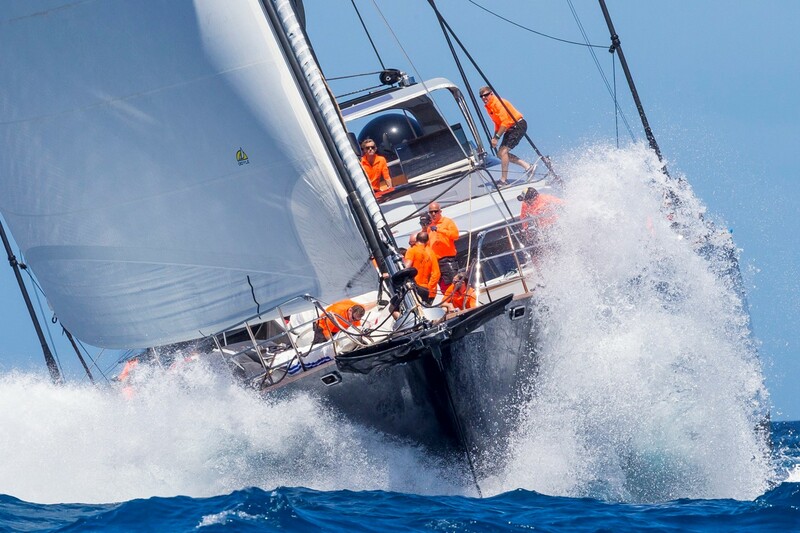 Perseus^3 also intends to participate in the Americas Cup Super-Yacht Regatta in Bermuda June 2017. 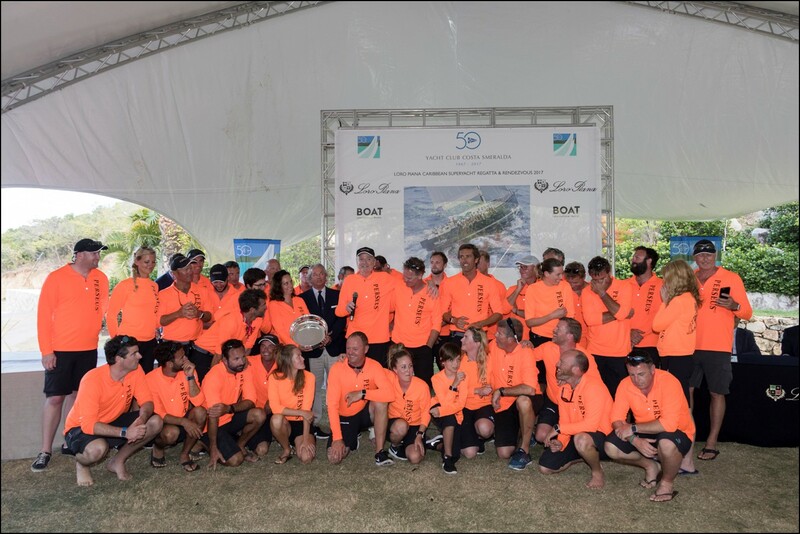 All winners were congratulated at the final awards presentation, signaling a fantastic end to another successful Loro Piana Caribbean Superyacht Regatta & Rendezvous. 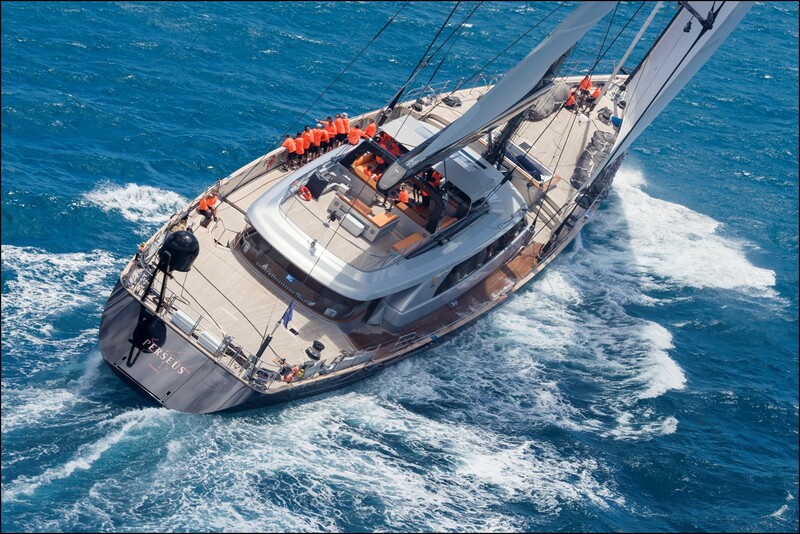 In all, 17 superyachts ranging in size from 23 to 60 metres took part in the regatta.